After thirty years it was great to be back in Chablis in 2014 and to reexperience my favorite Chardonnay that grows on the rocks from jurassic times called Kimmeridgian. 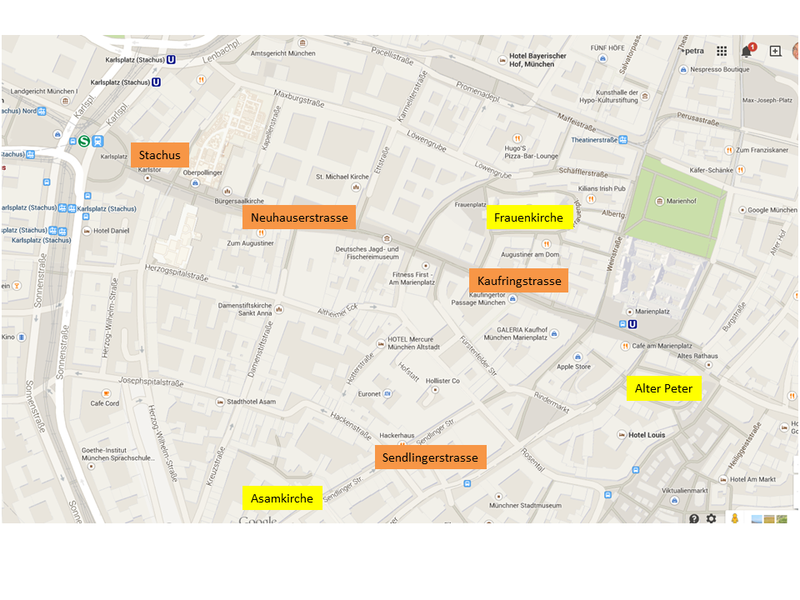 … and that the streets have become calmer – there is “zone 30”. 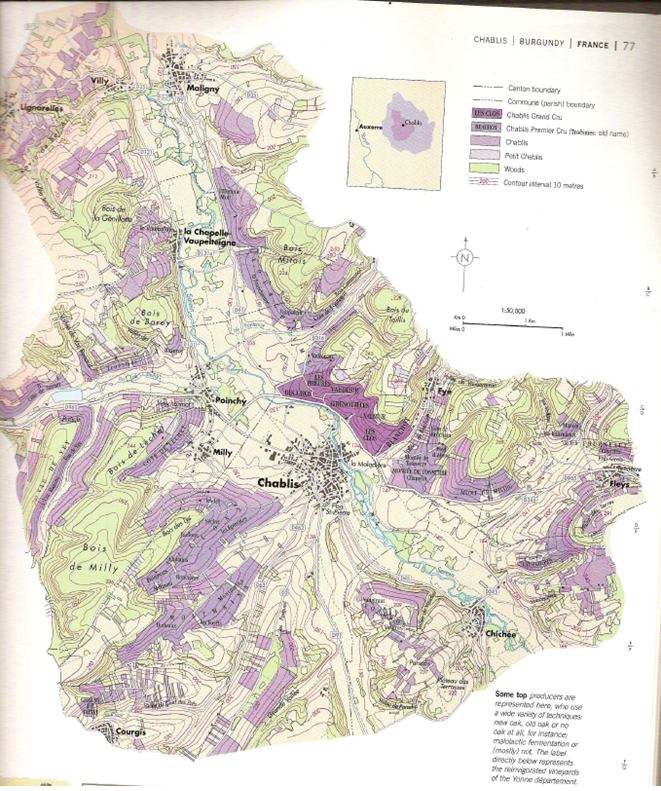 This is the map of the wines around the town of Chablis, as shown by Johnson. The Grands Crus are dark purple. 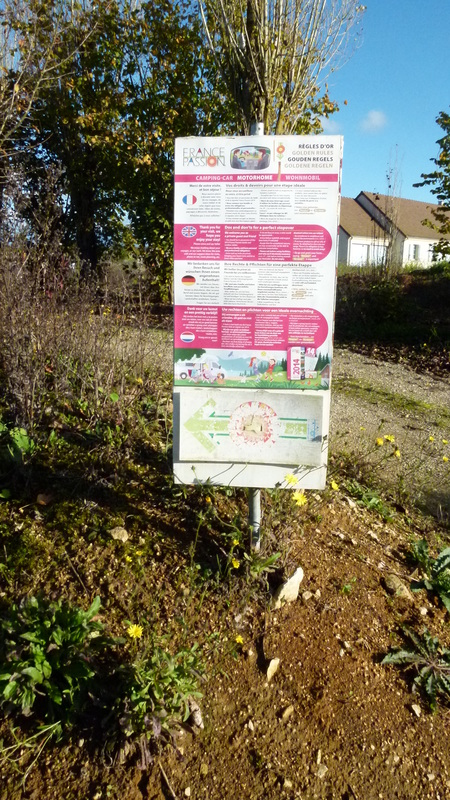 Les Clos is the largest climat. The 1er Cru climats are light purple with terrain names. 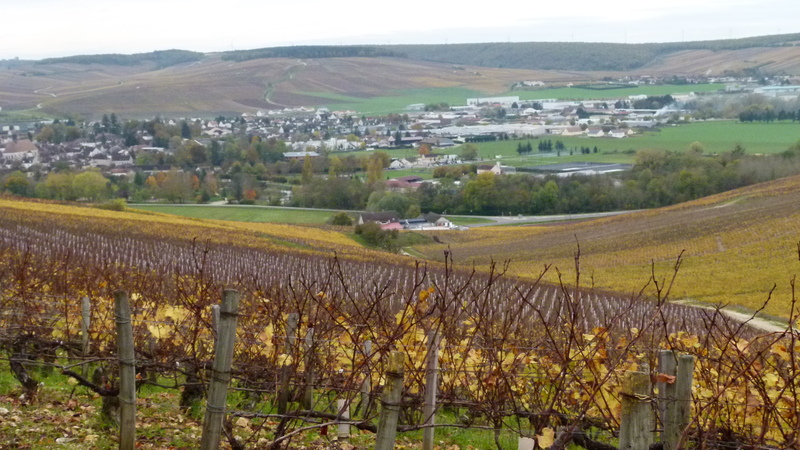 Without terrain labels the wines are Chablis or Petit Chablis. 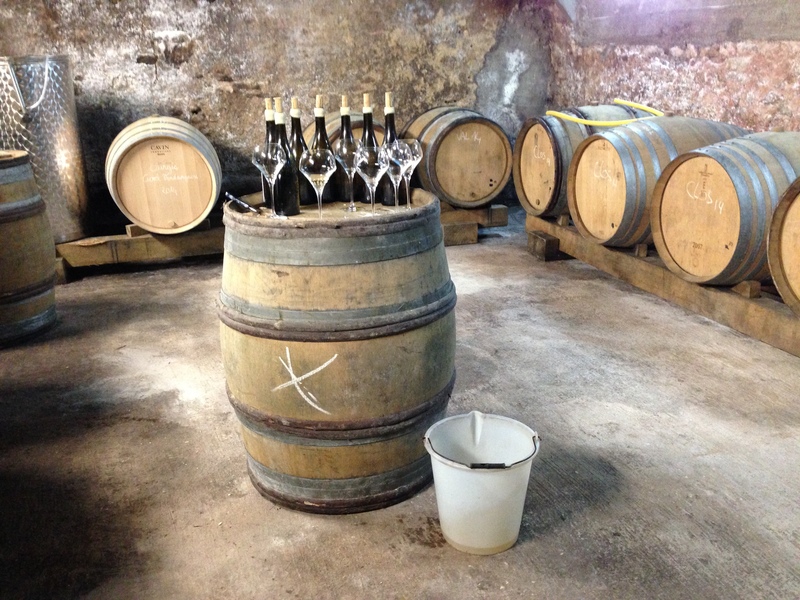 The soil of the Grand Cru and (most) 1er Cru wines is the older jurassic Kimmeridgian formation consisting of limestone, clay and fossiles, while Chablis and Petit Chablis grow on the younger (also jurassic) Portlandian sediment (both named after places in England). 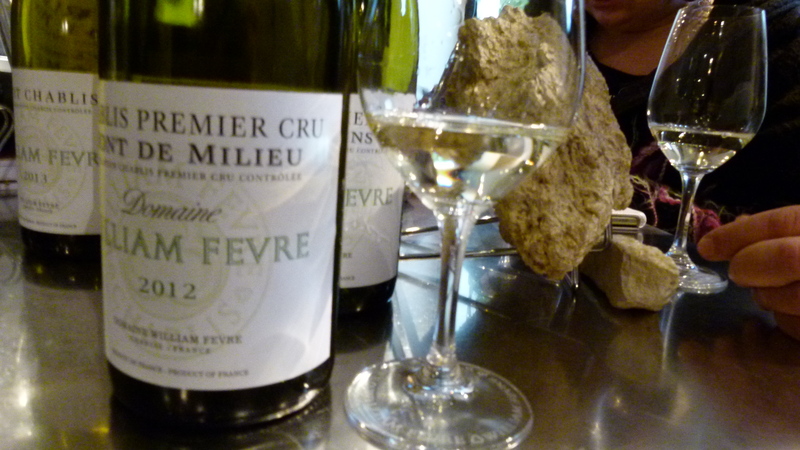 It is said that the organic fossiles create the mineral/flintstone character of the Chablis wines. Typically their color is yellow-green. (Sources: Wikipedia, “Johnson World Atlas”, “Pocket Johnson” and Laure Casparotto: “L’Atlas des Vins de France”, Editions de Monza 2012). To get an overview of the vineyards, Katja drives our car to the Grand Crus climats. Some few grapes are still hanging on the wines. 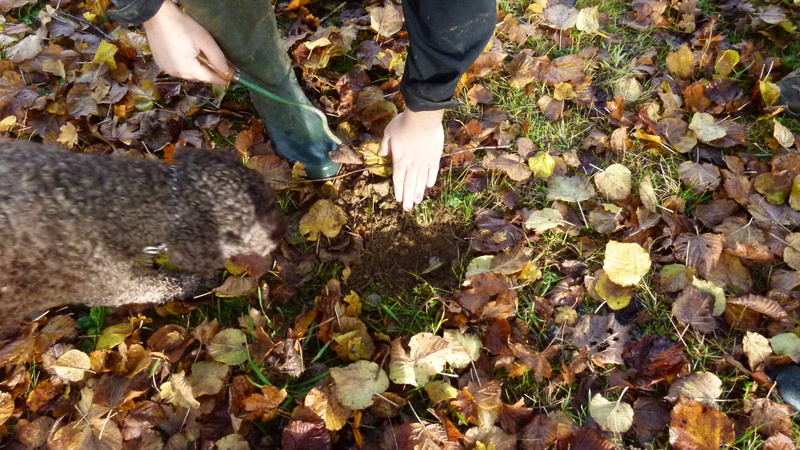 We know that nobody is going to pick them – it is November now. Hence we dare taste them. They are deliciously sweet! 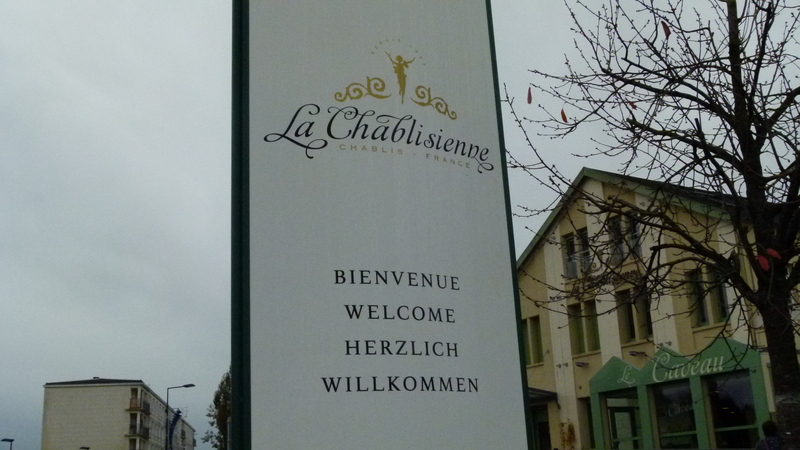 Larissa tells us that in the US “Chablis” means “cheap wine”. I came across that in Ushuaia (Argentina) as well. I found “Chablis” on the menu of a small restaurant, asked the waitor, whether this was Chardonnay from Chablis, and was not understood: “This is just “Chablis””, was all the explanation I could get from him. I ordered that Chablis wine and was disappointed. Now I know why. 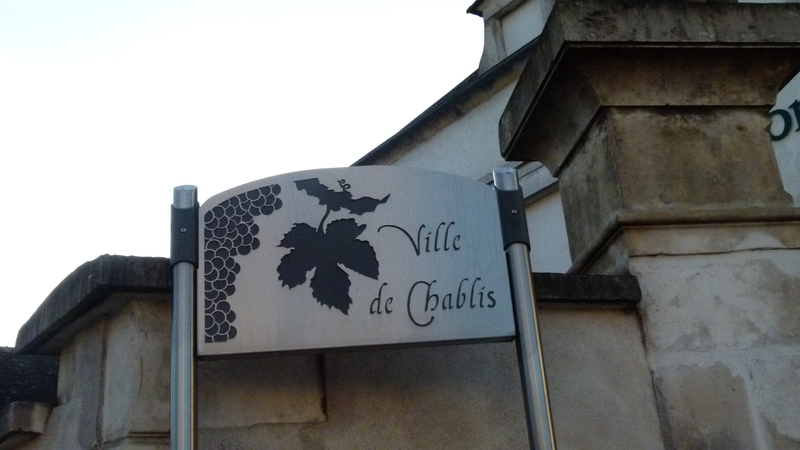 Wikipedia says that the Chablis trademark is not recognized across the world, but often means “almost any white wine”. 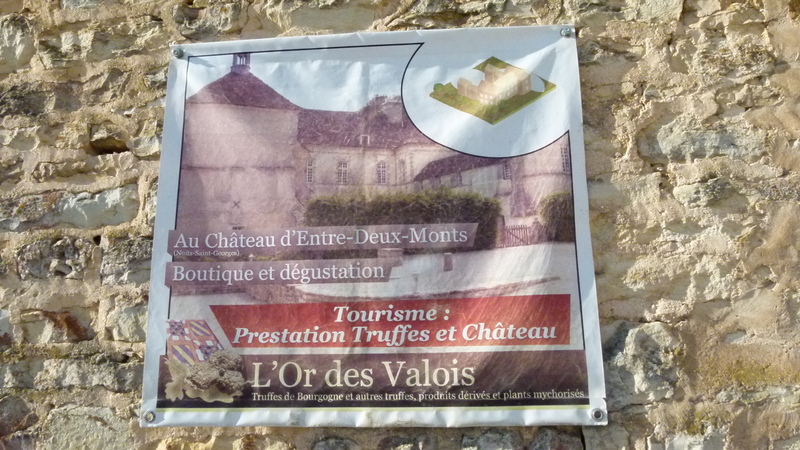 Perhaps we should not change this and keep Chablis as a secret for us. Larissa has planned our wine tastings carefully. Our sources were Larissa’s friend-sommelière, Alina, the “Pocket Johnson 2014” and the Internet. 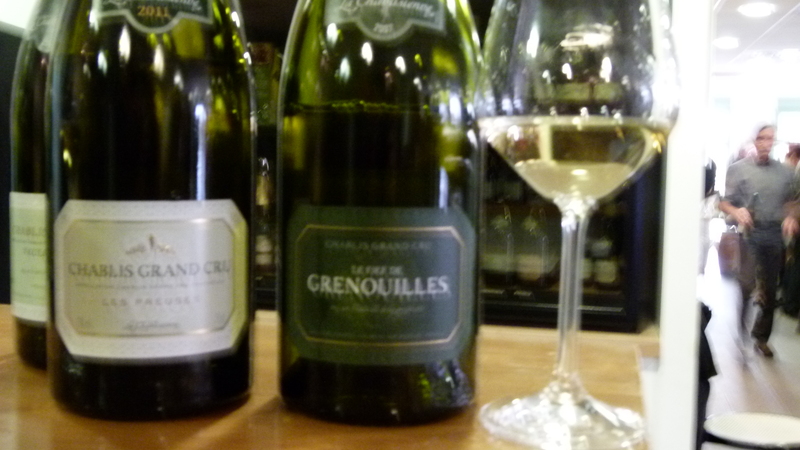 We came up with this list of domains to see: Règnard, Brocard, LaRoche, La Chablisienne (cooperative making almost one third of all Chablis wines), William Fèvre (“three stars” in Johnson) and Patrick Piuze (a newcomer, sometimes compared with the top rated Davissaut and Ravenaud). This is just a small selection of domains, but we could not fit more into two and a half days. 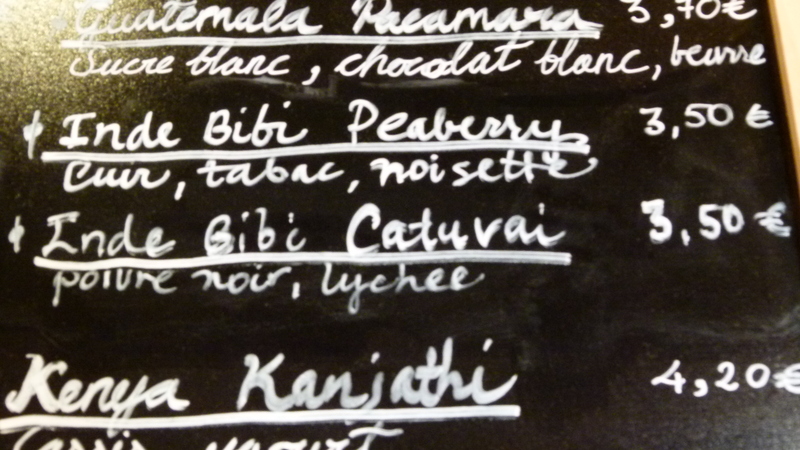 30 years ago, Chardonnay from Chablis became my favorite Chardonnay, and I found this confirmed now. 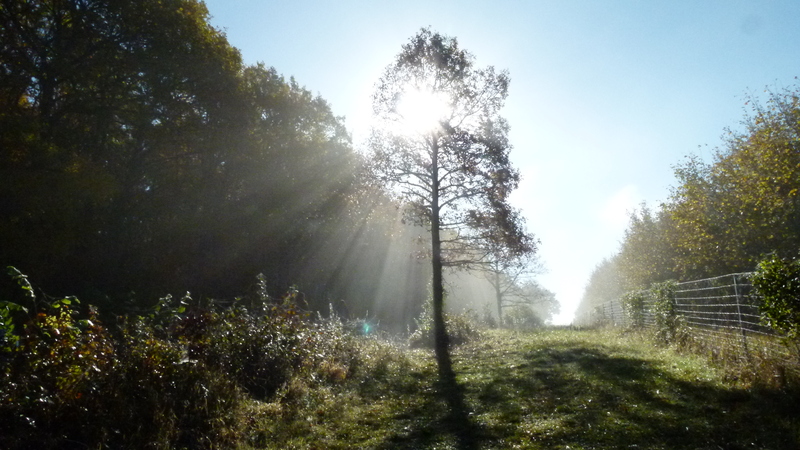 I will come back sooner than in another thirty years – for sure! 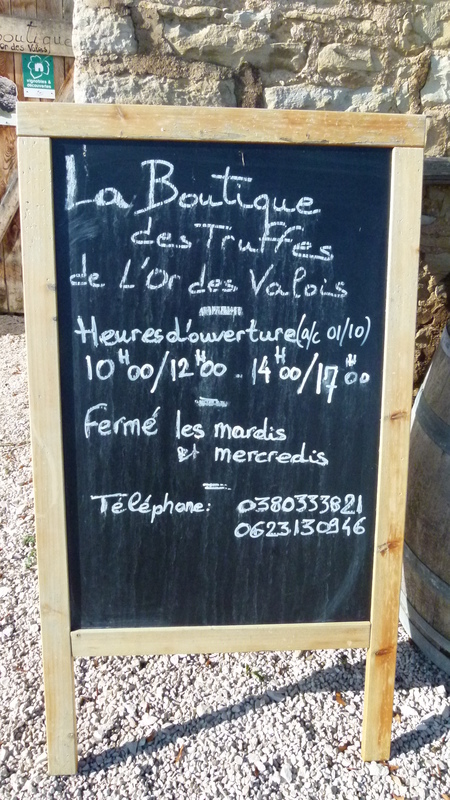 Let me summarize my highlights and impressions from the tastings in the next blogs. 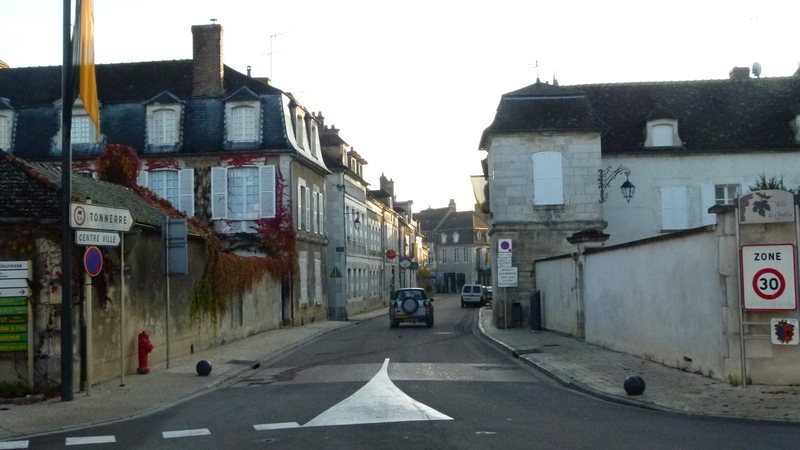 While my friends drive to Champagne early in the morning, I decide to stay in Noyers-sur-Sérein to recover from my cough. 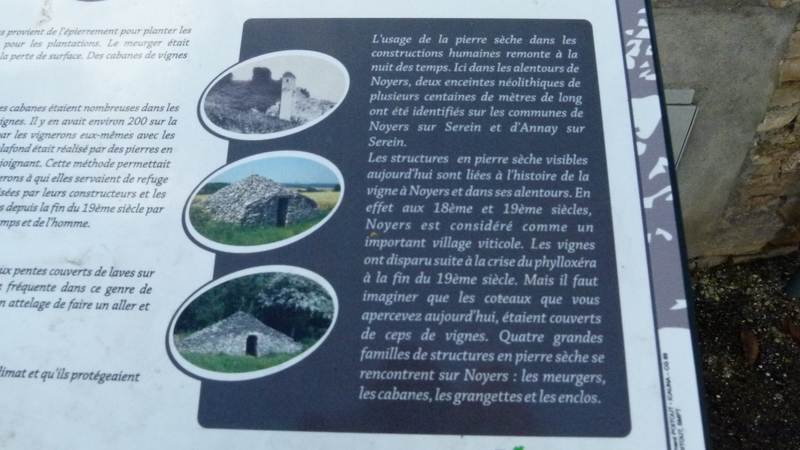 I sleep in the morning, get some medicine and some honey toffees from the local pharmacy and then I set out to discover Noyers-sur-Sérein. 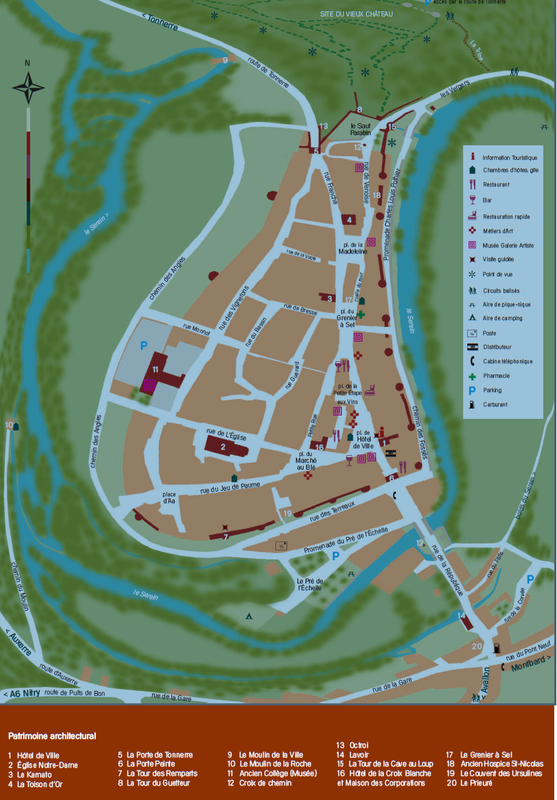 This is the town map. 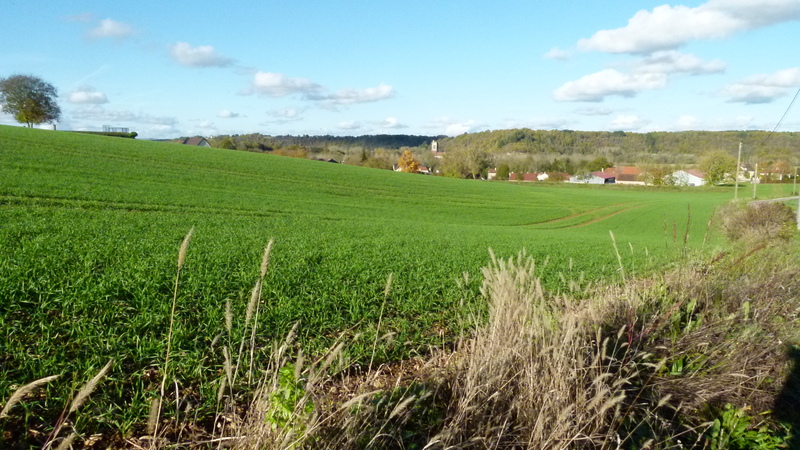 Noyers is surrounded by the river Serein. There are remains of the town wall with the gates. 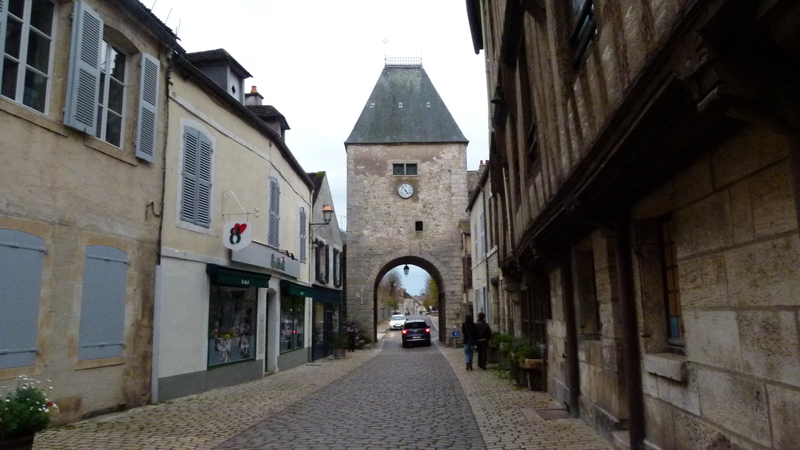 This is the southern gate, called “la Porte Peinte”. .. some hidden behind small passages. Above the town are the ruins of the castle. 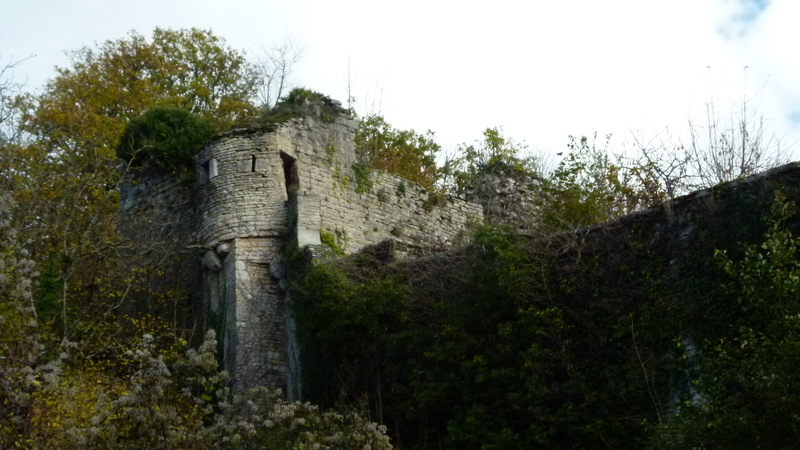 Like in Châtillon-sur-Seine, this castle has been destroyed by Henry IV. Yes, Henri was the grand-father of Louis XIV and fostered the power of the French king paving the way for his grand-son. The river Sérein makes a natural water ditch that protects the town on three sides. 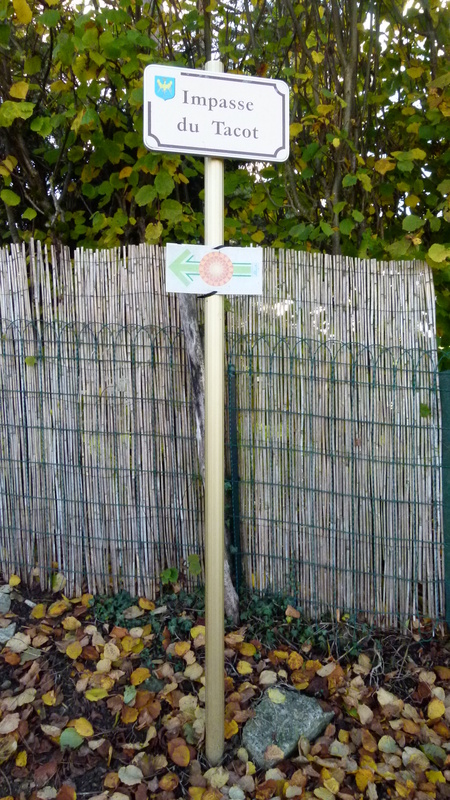 … and set out to follow the signs. I can see the village with the surrounding hills that were vineyards. The next sign directs me into an “impasse” (or “dead-end street”). I get lost in a large garden with an open gate. I oscillate a bit, and eventually find the sign where I should have turned left (it is all at the bottom and has become faint).. The sign directs me to this garage. To the left there is private garden and to the right nothing but mud. The hiking trail is disappearing in the middle of nowhere. This can happen in France. I change my plans. 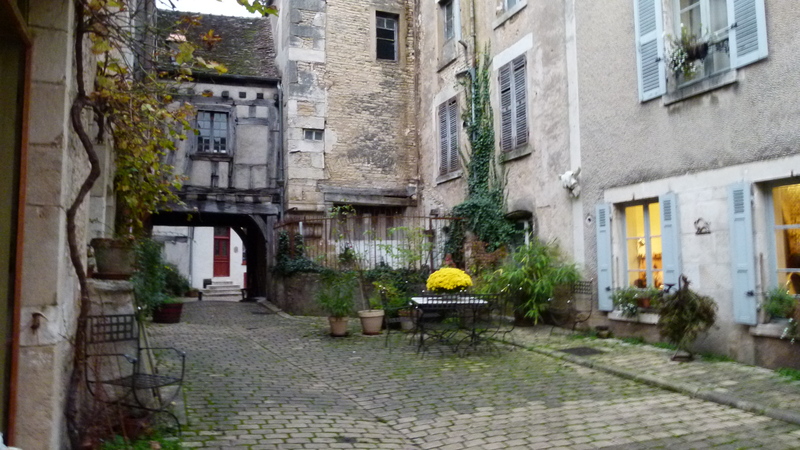 I will surely find a charming place to have a tea or coffee in Noyers. The “Centre pour les Arts” is just opposite of the townhall. It is run by a friendly couple. I enter to sit down and enjoy the tasteful ambiance. I order a cup of hot chocolate. “How do you want your hot chocolate, with water or milk?” the owner asks me. “You make hot chocolate with water? Then I want it with water. Like I know it from Mexico, but this is so difficult to get here,” I answer happily. The eyes of the owner shine bright: “So you want to drink the chocolate as it should be, you are a connaisseur.” I sip my hot chocolate with a tasty biscuit. I study the menu. It has coffee from various countries in Latin America (such as Costa Rica) – a great selection. They also have tea. They assign tasting notes, like we do for wine. I rest, read and recover in this welcoming place that also has good reviews in Tripadvisor. I should perhaps add another review. Our cars are parked on the Place de la Mairie. 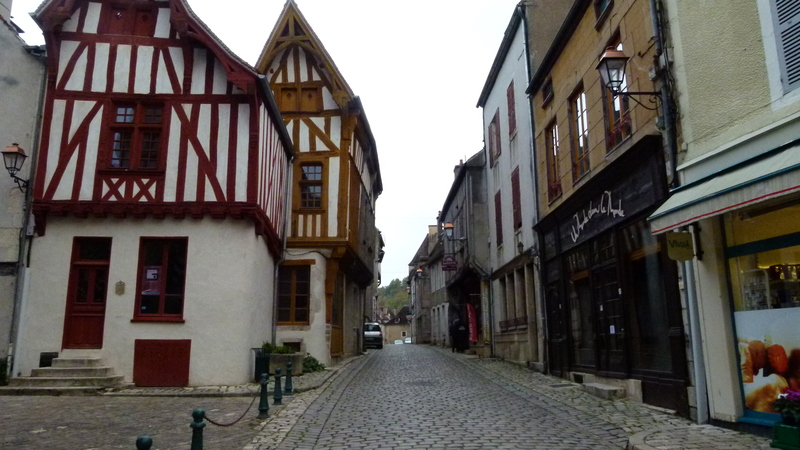 I come down in the morning to load my car, because we intend to leave for Beaune today. I notice a lot of activity. A stand is emerging around the car of my Russian friends. “Is this your car”, the stall owner asks me. “No, THAT is my car”, and I point to my Audi. “Cette voiture -là ne me gêne pas”, he says (that car does not disturb me). When Katja comes down to repark her car, the fish seller drives in with his lorry that opens up to become a stall. He frowns at me. I say that I had been told that my car is not in the way. “Well may be your car does not disturb HIM, but THIS is is my place.” he says pointing to my Audi. So, I move my car away as well. More stands are being installed. 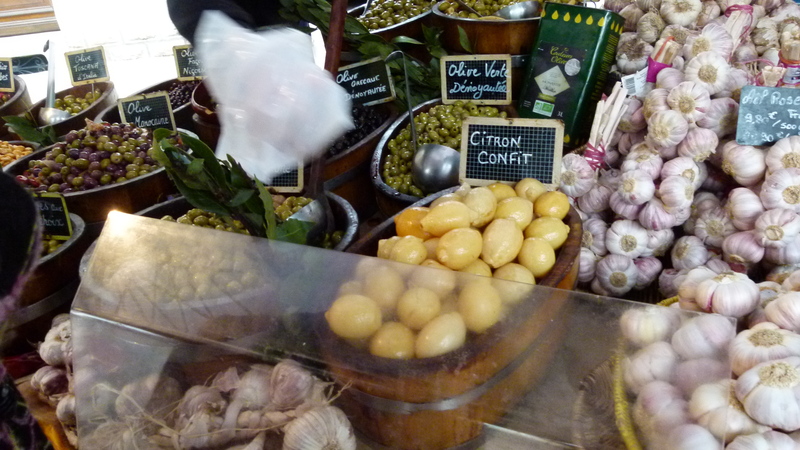 This is a wonderful small market with local products. 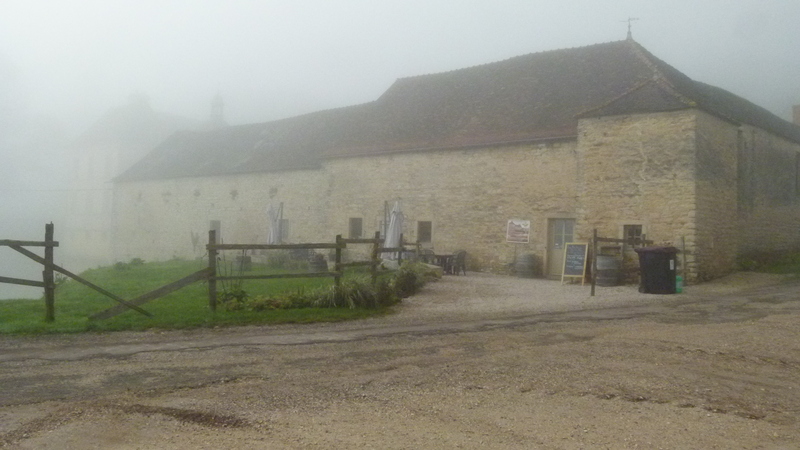 We leave nevertheless, as we are have arranged to meet Patrick Piuze in Chablis. After having recovered from my 6:35 flight from Kraków to Munich (oh Lufthansa…) in the house of my friends, I take the metro U5 to the Munich city center to say hello to some of my favorite places here. The Stachus is the entry gate to the city center. The Christmas market starts here with an ice rink. 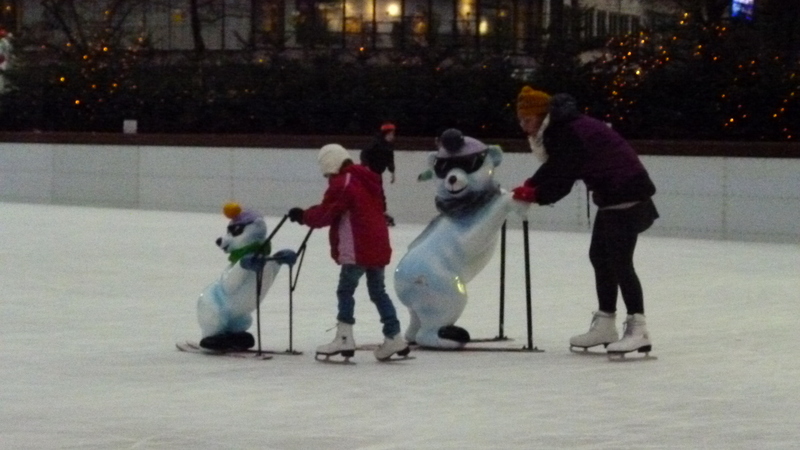 I have never seen wheeled walkers (in German: Rollatoren) that support ice skaters… “Ja, sind die nicht nett?” (Yes, are they not cute? ), my friend asks me, when I am back at her place. I buy a cup of hot wine (Glühwein) and watch the ice skating scene for a while from the terrace. 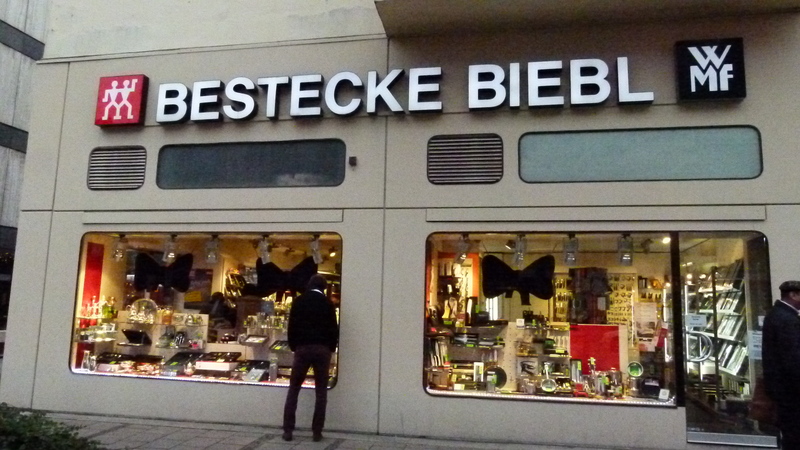 I try some large shops and then enter Biebl at the Stachus. I buy three cheese graters from Alessi. The shopkeeper frowns: “Now there are just a few Euros missing for your gift… let me give you a knife, you deserve it and it is Christmas time.” Then he drops a small kitchen knife into my bag with the graters. Nice. I like smaller shops. In Bayern it is perfectly okay to wear a dirndl – in the theatre, at the party, at the business reception or at the wedding. 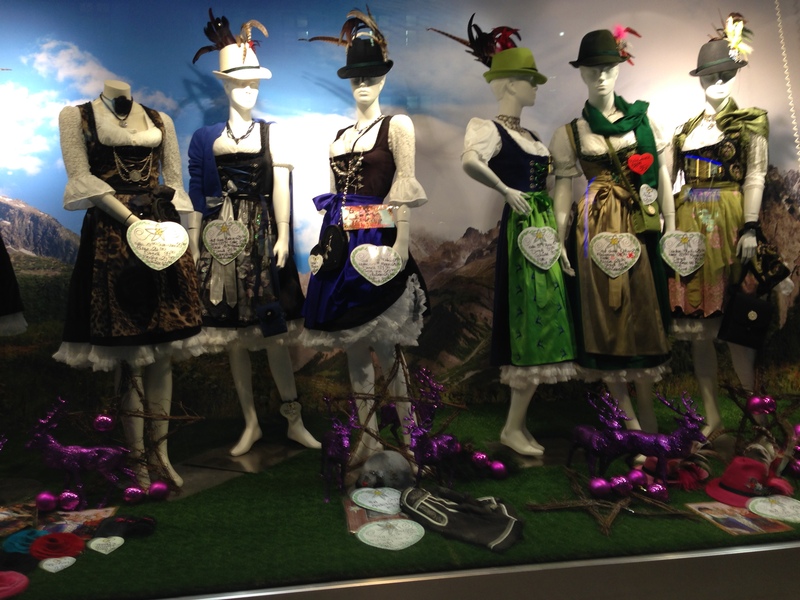 There are shops selling just dirndls. When I look at some of them, I feel sad not to live in Munich. In Basel it is not possible to wear a dirndl – except perhaps at the Basel carneval when the dirndl dress matches a specific “sujet”. From Stachus to the Viktualienmarkt, there is one huge Christmas market with wooden stands selling everything from Christmas decoration to cloths, and of course there are many stands with hot wine, sausages, Reiberdatschi (small potato omlets) etc etc. There are many tourists and – like on the Christmas market of Kraków – I hear Russian, Swiss German, English, French and Spanish around me… there seems to be a real Christmas market tourism going on in Europe. 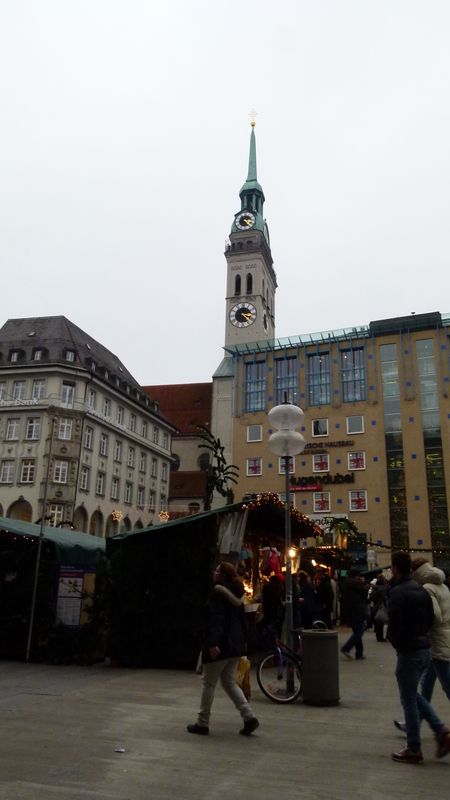 I look for a more quiet place away from the busy Christmas market scene and turn to the Frauenkirche. One of the towers is being renovated. Is the church open? – Yes it is. I love the Frauenkirche. 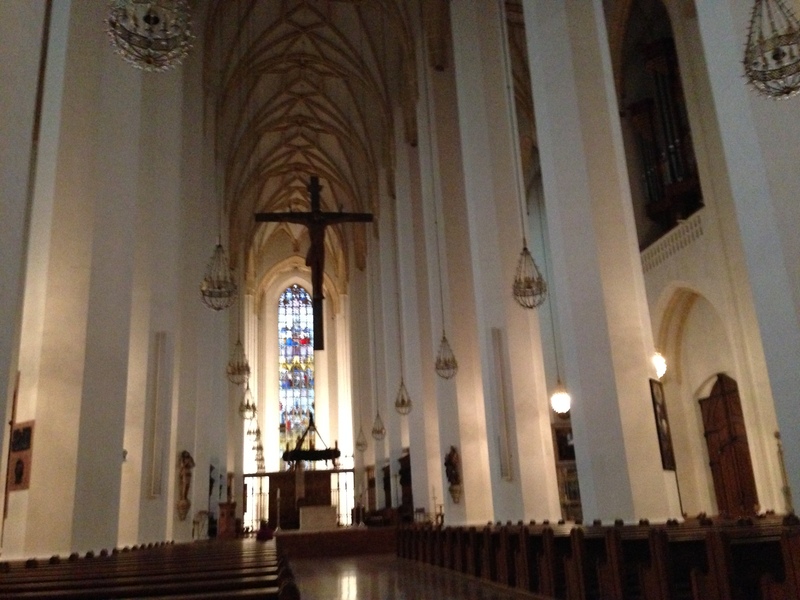 It is an exceptional church in Bayern. 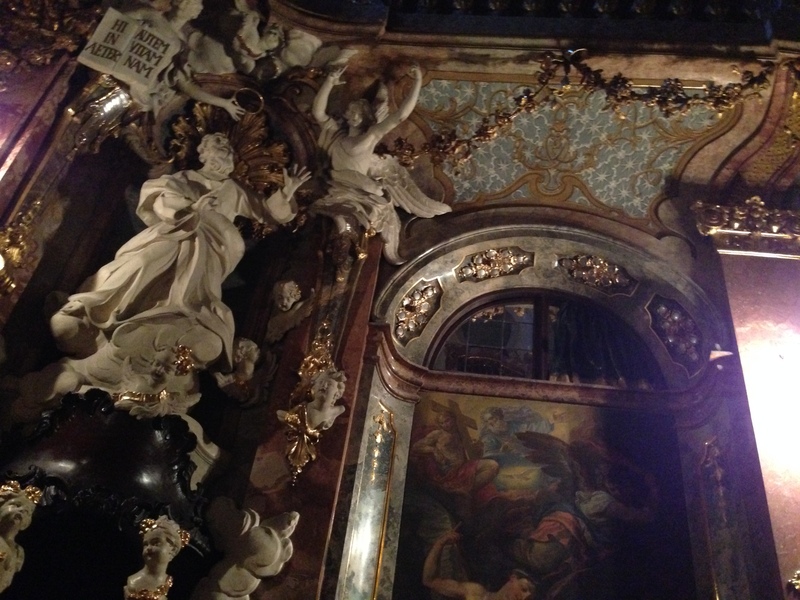 All churches in Bayern that I know are full of decoration and a lot of gold. 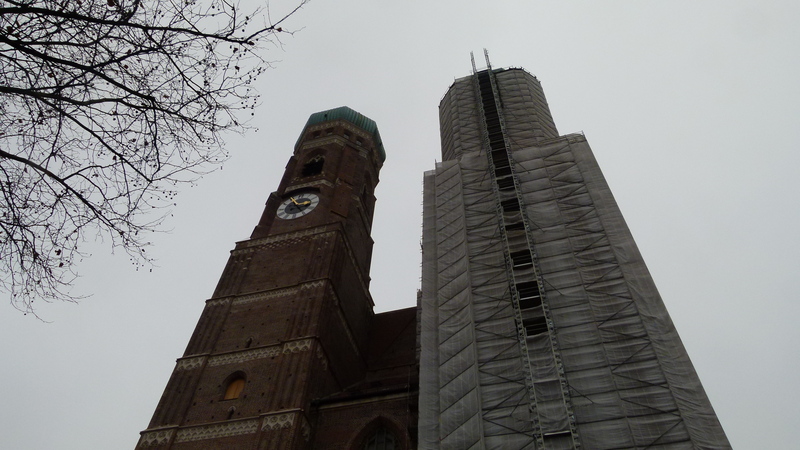 The Frauenkirche has suffered severely in the second world war. 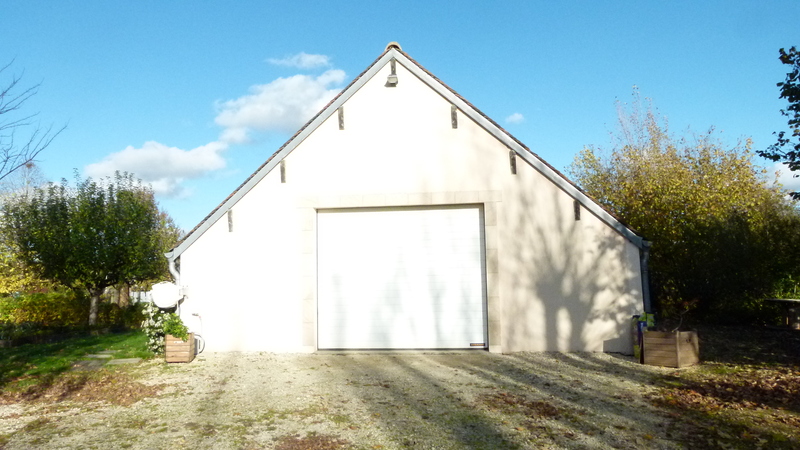 It has been reconstructed in the old gothic style with adding the decoration that has been saved in the war. This is not much. The decoration is unostentatious and breathes a touching solemnity that also reminds us of that ugly war. 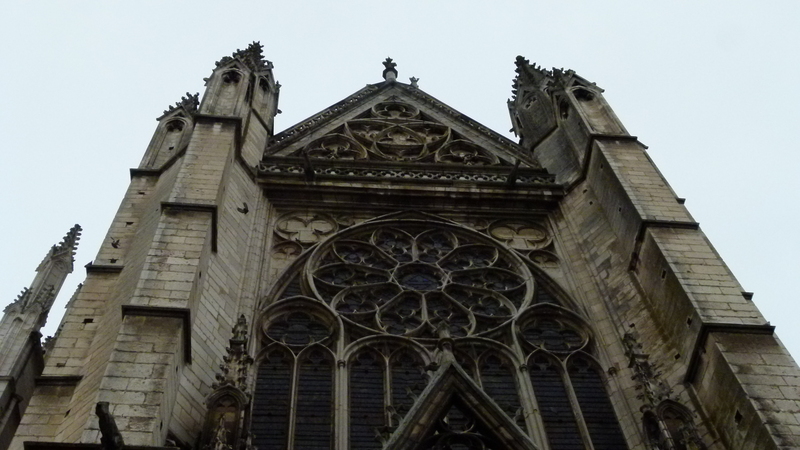 Most church towers have a regular shape and four clocks – one on each side. The Peterskirche is different. The tower is “flat” and an additional clock is hanging on the roof. They call this tower just “Alter Peter” (Old Peter). For me it is a symbol of the charming stubborness of the Bavarians that I love. The Asamkirche is on Sendlingerstrasse. It is a late baroque church built by the brothers Asam and it hides memories for me. 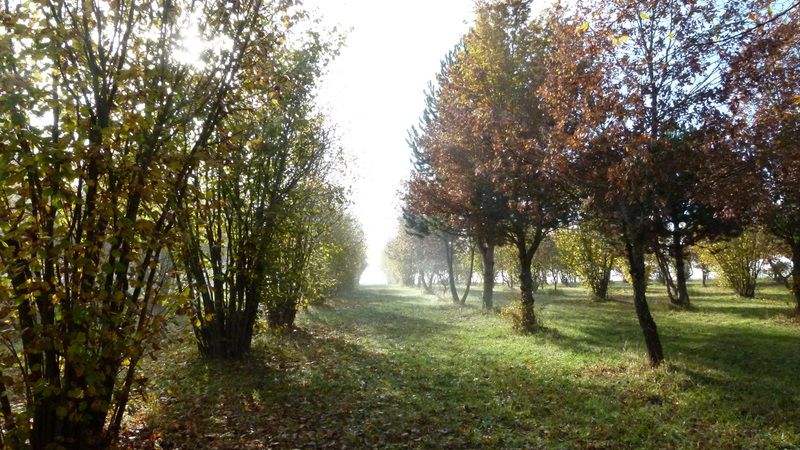 I came across the brothers Asam in Weltenburg – my mum took me there, when I was a teenager. It is a monastery located on the Danube, and I was impressed by the baroque church that the two brothers had built – as legend says, because they were in trouble in their boat, and, when saved, built this church out of gratitude. I was very impressed by the cupola that seemed to float high above me. I had never seen such a floating cupola before. 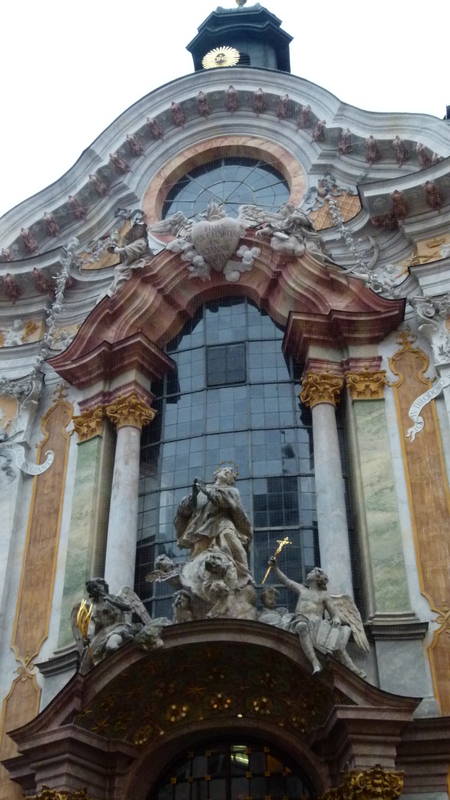 The brothers Asam also built the Asam church in Munich. It was first their private church and was then opened to the public. As a teeager, my mum introduced me also to this church – and much later I came back several times with Ernst. Now I am here again, with my mum and Ernst in my heart. In the evening my friends take me to their favorite Italian restaurant, Il Sorriso. We have spaghetti with clams and noodles with truffles. 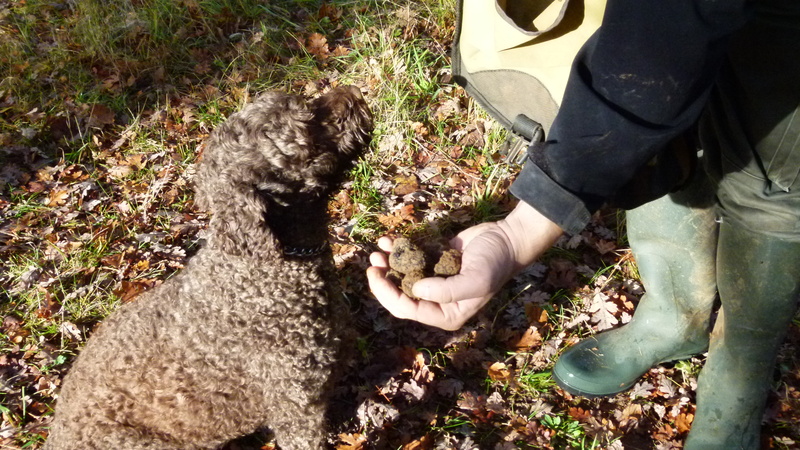 We do not select the best Nero d’Avola, perhaps we should have asked for another bottle (would not have been a problem). The place is friendly and has a selection of postcards that guests can take with them as a souvenir. Here is an example – this card is useful for someone who is in love. How lucky I am that I had planned to take the train to Basel instead of flying Lufthansa. 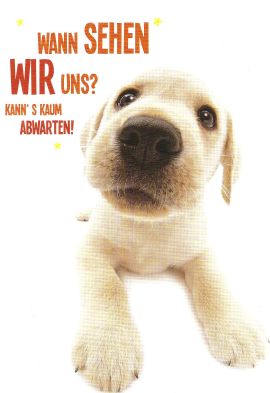 Lufthansa is also on strike on Tuesday – today. Yesterday I had bought my first class ticket at the Munich main train station for 120 Euros. My SBB “Halbtax” entitles me to a discount of 25% for German trains. The lady at the counter was sighing. I was the first client that was friendly with her – before me she had been confronted with many frustrated Lufthansa passengers. After a long evening entrenched in vivid debates with my friends, a quiet night and a wonderful breakfast, I catch the train in München-Pasing at 1 pm, settle in first class and I arrive in Basel shortly before 6 pm. On Sunday, I have received my boarding pass for my Monday flight. Around 9 pm on Sunday an email confirms my flight with Lufthansa. “We apologize that your flight LH623 KRK-MUC 01Dec 01:10 PM has been cancelled. Further information is available on https//m.lh.com/MjAzNTk3blFmMQ”. Wonderful. What now? I find out that the pilots will be on strike from 12:00 PM on Monday until midnight on Tuesday. I also find a link that says “your flight has been rescheduled to 6:35 am.” Wonderful. I pay for my hotel room immediately and order a taxi for 4:30 in the morning. This will be a morning without breakfast. On Monday 1st of December, shortly before five a.m., I stand in front of the Lufthansa check-in desk at the airport. “No,”, the lady at the counter says, “you are not on the list. Please go to the ticket office over there and stand in line to buy another ticket.” I refuse to stand in line and buy another ticket. She walks over angrily and comes back with a standby ticket. She tells me that the flight has been overbooked and my chances are not good to catch the flight, but I could give it a try. Wonderful. I wait at the gate – I wait for an hour. At six, a friendly clergyman comes and he looks much more optimistic. A few minutes later, check-in has closed. I understand why he was more optimistic – he knew better. He gives me a boarding pass for business class, but without the right to have breakfast. We are about 4 passengers with such standby boarding cards for business class. The business class area is half empty – even with the standby passengers that are escaping the Lufthansa strike. The plane takes off. The stewardess serves breakfast. She passes me a tray. “No – thank you”, I say, “I am not allowed to have breakfast.” “Of course, you can have breakfast,” she says. The world brightens up and I enjoy my business class breakfast with a good cup of coffee. At eight we land in Munich. 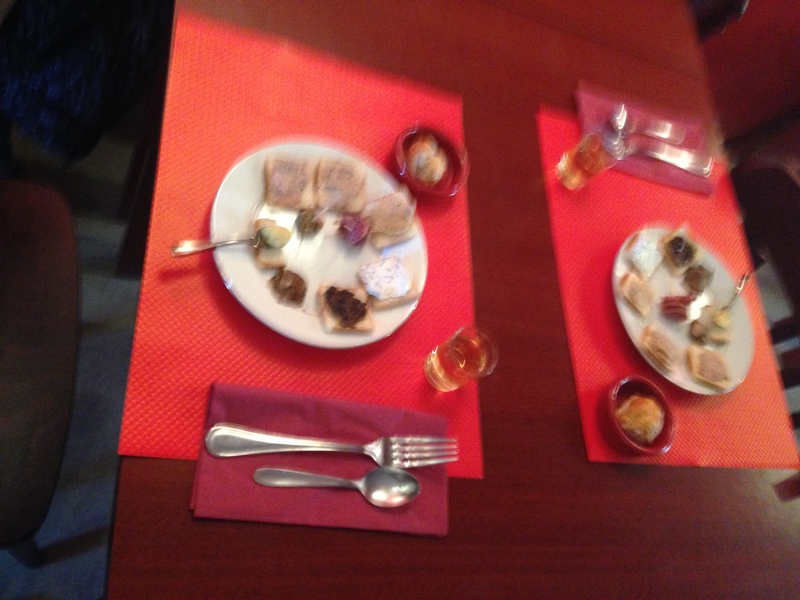 Around ten I have a second breakfast in the house of my friends… and then I go to sleep for another hour. Great, I have just managed to get to Munich before the great chaos. Kraków, no need to hold me back by asking the Lufthansa pilots to go on strike – I will come back for sure next year!